America’s War of Independence (1775-1783). This war is also known as the Revolutionary War. The thirteen colonies in North America declared themselves free of British rule and became the United States of America. One of the museums oldest artifacts is this Fascine Knife. The Fascine Knife was officially issued to continental troops for engineering purposes. 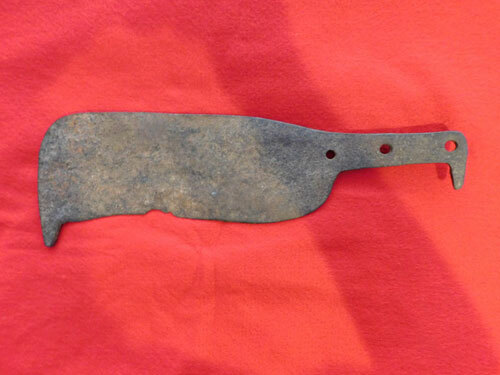 This knife was excavated near Fort Ticonderoga in Albany, NY.